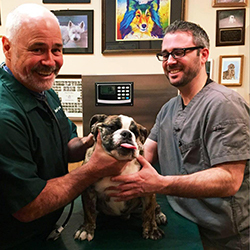 If you need veterinary care for your dog or cat, Dr. Lynch, Dr. Hoffman, and Dr. Macmenamin offer experience with compassion in providing state of art diagnoses, surgery, endoscopy and dental procedures; and stem cell, laser, and massage therapies. 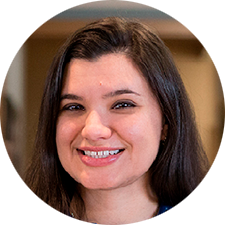 Our receptionists are friendly and enjoy helping our clients and their furry family members. 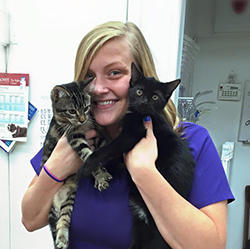 Our assistants have “a way” with dogs and cats and love establishing relationships with our patients. 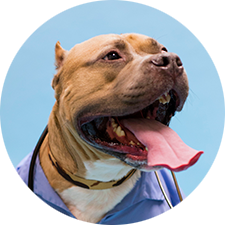 We invite you to explore this site to meet our veterinarians and staff, and to see the services and technology we provide our furry patients. We also offer resources that will help you learn about various topics relation to your pets’ wellness. If you have any questions, call our receptionists at 631-878-1600. Our Center Moriches location is easy to get to and directions are on our contact us page. We look forward to meeting you and your furry family member. Does your pet need attention? Love Dr. Lynch and staff! We went to him almost 20 years ago, took a 10 year break from dog ownership and now we’re back with our newest furry family member. 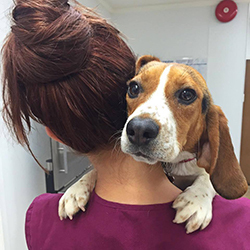 I wouldn’t trust any other vet this time around. They are friendly, knowledgeable, and so caring. 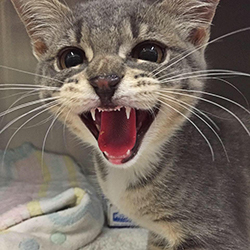 Went to The Moriches Hospital for Animals after 3 visits to another vet within 5 months. 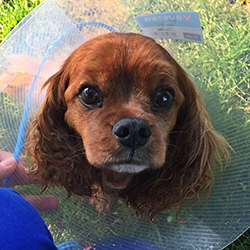 My dog was suffering from reoccurring ear infections. Dr Mac was out of this world. He took her to the back office to review her ears and the infection under the microscope, told me about the bacterias and how we were going to fight them ! Even sent her swab for cultures to ensure we used the right treatment plan. This visit was not only informative but has helped my pup exponentially! Will be a forever patient there ! Dr. Lynch and his Associates are professional, knowledgeable and compassionate. Their diagnosis and care has always been right on. We also board our pet at the Hospital whenever we need to be away. 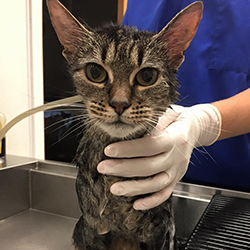 She has always been well cared for and we take comfort in knowing that the staff will take care of her should she become ill. 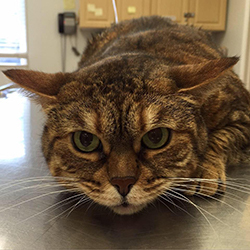 I would definitely recommend The Moriches Hospital for Animals for your pets Veterinary care. 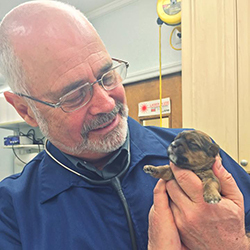 The Moriches Hospital for Animals is a very caring and efficiently run practice. 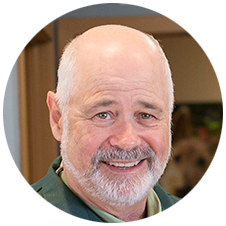 Dr. Kevin Lynch and his well trained and knowledgeable staff are always ready to listen and diagnose any concern you may have with your pet. My wife and I have a miniature poodle named Onyx that has been a patient for 2 1/2 years and she is so healthy, energetic and pretty (they also have a wonderful groomer) that we highly recommend taking your pet for a checkup! 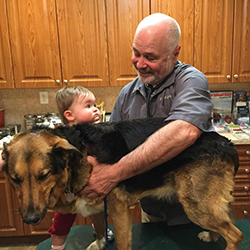 – Susan & Bob S.
Dr. Lynch and his excellent, caring staff have provided our family with vet services for close to three decades now. Dr. Lynch and his medical staff are very knowledgeable and they are prepared to answer detailed questions. Should you ever have a need for vet services for your pet, I highly recommend the Moriches Hospital for Animals. 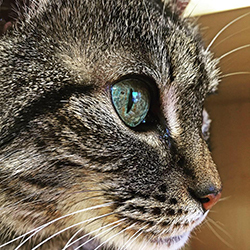 They can be trusted to provide stellar medical care for your pet. Top notch! Dr. Lynch and his staff are wonderful, caring and knowledgeable. They have helped me with many of my animals over the years, dogs, cats even a hamster! They are able to do all procedures on site making things so much easier, I would not trust my pet to anyone but Doctor Lynch. Dr. Lynch and staff are amazing. He performed surgery on my pups subluxating patella and now she back to running and playing completely pain free. I highly recommend him not only for his wealth of knowledge and experience, but especially for his compassion towards animals and their families that care for them. Best Animal Hospital EVER! I live in East Hampton and traveled to have them take care of my sick doggie and me for that matter! The were kind, loving, compassionate , and very professional! Best experience ever!